Wow, this Nate Silver guy sure is something. His relentless statistical simulations called the election perfectly, like months before it even happened, and he stuck to his guns while right-wing pundits dismissed his models as voodoo from their televised mountaintops. When Alexander Bell invented the telephone he had 3 missed calls from Nate Silver. Nate Silver threw a grenade and killed 50 people, then it exploded. Nate Silver can delete the Recycling Bin. 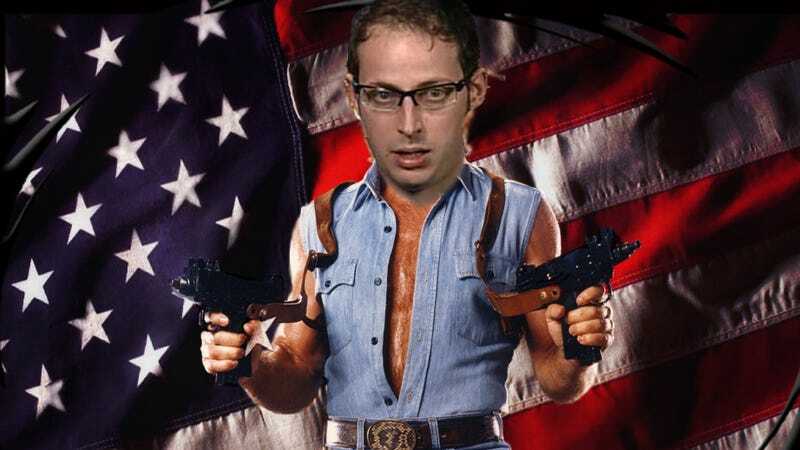 Nate Silver once got bit by a rattle snake. After three days of pain and agony... the rattle snake died. Nate Silver doesn't use pickup lines, he simply says, "Now." Nate Silver can suffocate a pillow with a man. Nate Silver once had a heart attack; his heart lost. Nate Silver doesn't call the wrong number. You answer the wrong phone. Nate Silver can speak French... In Russian. When a zombie apocalypses starts, Nate Silver doesn't try to survive. The zombies do. Ghosts sit around campfires and tell Nate Silver stories. Nate Silver lost his virginity before his dad did. Nate Silver beat Halo 1, 2, and 3 on Legendary with a broken Guitar Hero controller. Nate Silver can unscramble an egg. Some magicans can walk on water, Nate Silver can swim through land. Nate Silver can set ants on fire with a magnifying glass. At night. There used to be a street named after Nate Silver, but it was changed because nobody crosses Nate Silver and lives. Nate Silver's computer has no "backspace" button; Nate silver doesn't make mistakes. Nate Silver can build a snowman out of rain. Nate Silver has already been to Mars; that's why there's no life there anymore. Nate Silver can hear sign language. Nate Silver can light a fire by rubbing two ice-cubes together. When Nate Silver does a pushup, he isn't lifting himself up, he's pushing the Earth down. Nate Silver beat the sun in a staring contest. Nate Silver can slam a revolving door. Heard any other good ones? Tell us down in the you-know-where.